If you’re looking for a pressure washing service in Reno, you’ve come to the right place. We want to be your go-to business when it comes to all things aesthetic on your property. As a professional pressure washing business, we assure you that your property will be shining like new when we’re done. 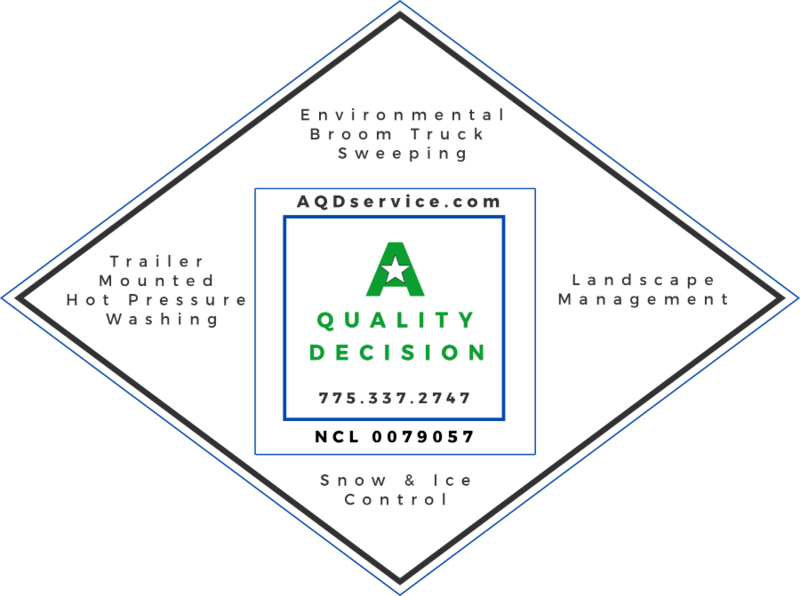 Not only is A Quality Decision Service a professional commercial landscaping business in Northern Nevada, but we are also proud to say that we offer the best pressure washing services. Our team is made up of highly-trained professionals who can transform your outdoor eye-sores into outstanding pieces of art. If you have an area that needs pressure washed, contact us. We can inspect the area and ensure that when we leave, the place is sparkling. Pressure washing is the use of high-pressure water (powered by high-pressure air) to clean a surface. It is so powerful, that it can actually strip layers of wood. In fact, it has even been proven to reduce layers of brick walls if it’s not used correctly. It is a quick and efficient way to truly get a surface clean. However, pressure washing must always be used correctly to achieve optimal results. Count on us for that part. If you’ve landed on this page, one thing is for sure. You’re evidently looking for a pressure washing service in or near the Reno, Nevada area. However, you may not know everything there is to know about pressure washing. Pressure washing is a fast and incredibly efficient way to clean up your property’s sidewalks, walkways, building walls, fences and more. Power washing is quite common in the commercial food business, as there is constantly grime and grease building up in those areas. However, pressure washing is certainly not limited to such businesses. Many people will choose pressure washing when they are looking to freshen up their outdoor appearance. 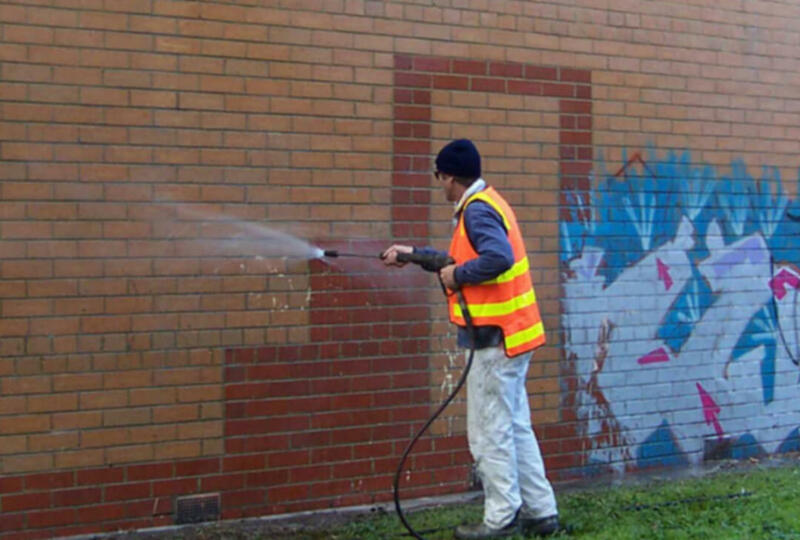 Pressure washing is a great solution to build-up on outdoor surfaces such as brick, concrete, or wood. It is even quite common for cleaning fences and wood decks. If you’re looking to paint your building, fence, deck, sidewalk, or other outdoor areas, you’ll need to clean the area thoroughly. Without a clean and smooth surface, paint will chip and result in a poor appearance. How hard can it be, right? You go to the hardware store, rent a pressure washer and get to work. Woopty doo. Unfortunately, this is how a lot of people think. Don’t worry, we respect you for the initiative, but you need to stop and think. Pressure washing is super awesome, yes. However, too often it is used incorrectly. Sometimes it can cause more harm than good. When we are at your location we will always inspect the area before beginning any work. If we determine that it is unsafe or not in the best interest to power wash that area, we will inform you and make another suggestion. Some examples of pressure washing disasters are busting windows, forcing water behind siding, stripping paint, stripping layers of wood, damaging window panes, and more. Many times, people will pressure wash a sided house with an extremely high psi setting. This can damage the siding and actually result in forcing water behind the siding. This will ultimately lead to mold. When we say “power” washing, we mean it. This isn’t stuff to mess around with and it can become a total disaster for a person who has never used a pressure washer before. The threat of personal injury or damage to your home should never be overlooked. Injuries and catastrophes regarding pressure washing are actually more common than you might think. Deaths have even occurred during a pressure washing job. 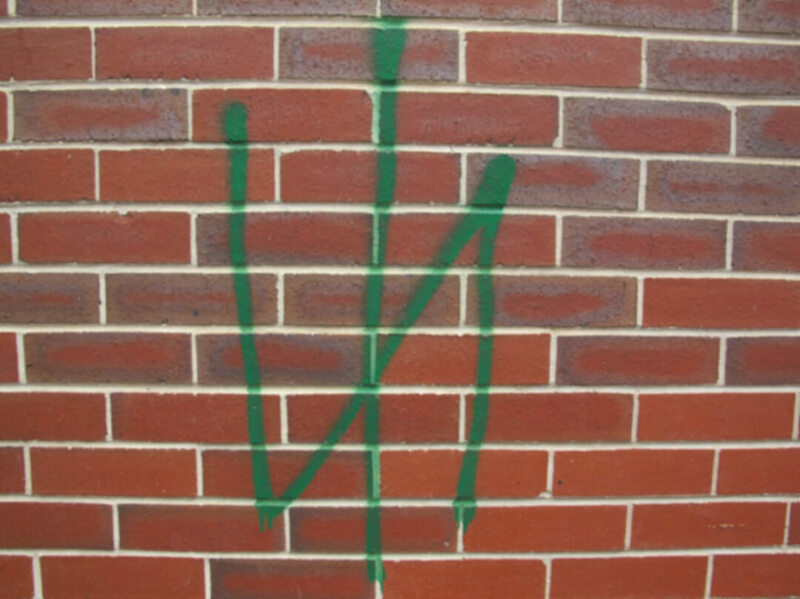 An example of this would be when a person tries to pressure wash their building from a ladder. This is very dangerous. You cannot keep a hand on the ladder and control the power washer at the same time. A power washer requires two hands and some muscle to maintain balance. Many people are surprised by the power that a pressure washer can let out. Look, our team spent many months and even years training. We’ve trained hard to be the best commercial landscaping business in Northern Nevada. Our guys can come to your property, take a look at it and know immediately what the solution is. We can adjust psi on pressure washers accordingly to prevent any damage. ADQ can maintain control of the pressure washers and offer solutions to heights that are seemingly impossible to reach. Our team will use safe and appropriate cleaning chemicals as needed. The great thing about us is that we are not just a pressure washing company. This is only one of many services that we offer. If, during our initial inspection, we determine that pressure washing should not be used, we can offer another solution. That’s our job. That’s what we do. Our goal is to get on a first name basis with you. When your business is in need of outdoor landscaping, cleaning or aesthetics, we want you to call us. We want to be your guys. When we are on your property we will always treat you, your employees and business guests with respect. We will always show up on time and dressed appropriately for the job. We are not afraid to get our hands dirty, but we do strive to maintain a professional appearance. If you’ve had a recent pressure washing experience with us, we encourage you to reach out and let us know how we did. Submit a testimonial to share what you liked. If you had a poor experience with us, please contact us to discuss it with us so that we can find ways to improve. It’s people like you who keep our business going. You make it possible for us to do our dream jobs. So let’s do this. Call us today to schedule an appointment.